Irresistible‎ Peach Croissant & Blueberry Croissants Available Now! The mere mention of peaches and blueberries conjures up images of summer time fun. Since we enjoy these delicious fruits during the year’s warmest months, we’re paying homage to this season by incorporated these summer fruits into our irresistible seasonal croissants. Sliced peaches sit on a bed of pastry cream and a thin layer of raspberry jam nestled into tender, flaky croissant dough for a refreshing and tasty summer treat. Ingredients: Unbleached enriched flour (wheat flour, niacin, reduced iron, thiamine mononitrate, riboflavin, folic acid), fruit (peach) butter, pastry cream (milk, vanilla beans, egg yolks, sugar, cornstarch, butter), water, milk, sugar, sea salt, yeast, malt, egg wash. 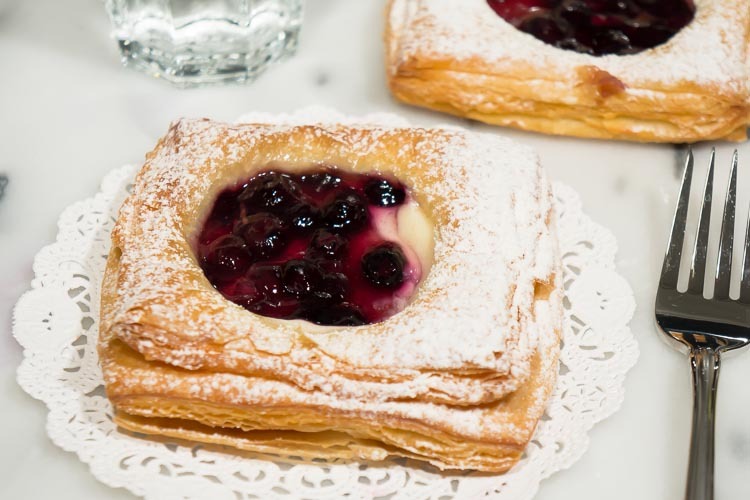 Ripe, plump blueberries sit on a bed of pastry cream nestled into tender, flaky croissant dough for a refreshing tasty summer treat. Ingredients: unbleached enriched flour (wheat flour, niacin, reduced iron, thiamine mononitrate, riboflavin, folic acid), blueberries, milk, water, cream cheese (pasteurized cultured milk and cream, salt, xanthan and/or carob beans and/or guar gum), sugar, butter (milk), powdered sugar (sugar, cornstarch), cornstarch, cream, salt, barley malt, lemon zest, yeast, vanilla extract (vanilla bean extract, alcohol, water). If you’d like to find out how to create a Wholesale account with us, please click here. 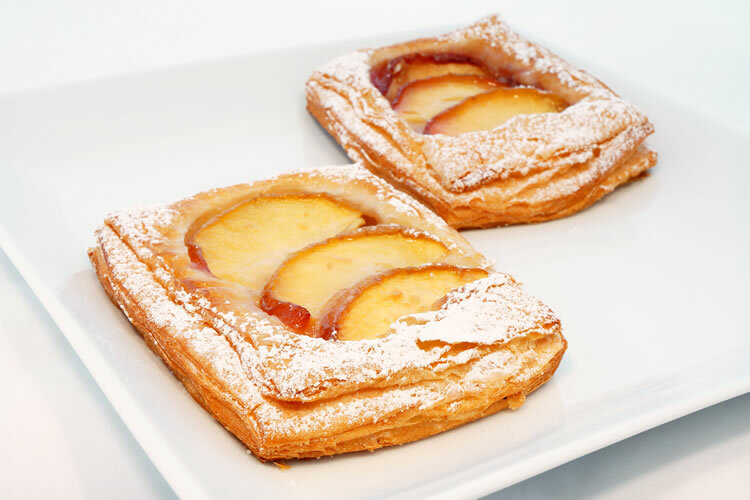 https://i1.wp.com/essentialbaking.com/wp-content/uploads/2014/03/pastry_croissant_pear.jpg?fit=750%2C500&ssl=1 500 750 Kendra https://essentialbaking.com/wp-content/uploads/2018/09/Logotipo_Essential-Baking-e1537914727842.jpg Kendra2014-07-10 16:59:272015-03-13 04:55:14Irresistible‎ Peach Croissant & Blueberry Croissants Available Now!